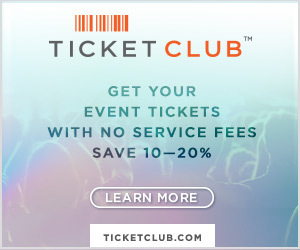 Welcome to the Affiliate Center for TicketClub.com. Here you can reference the program’s terms and stay up on important updates. Most ticket sites these days rip you off with surprise “service fees” snuck in at checkout. Dozens, sometimes hundreds of dollars, piled on by the big name sites just because they can. With Ticket Club, you don’t have to put up with that. Get a premier membership, and you won’t pay a dime of those fees. Ever. And at $49.99 for the first year, then just $9.99 a year after, your savings can add up big. Even if you only buy event tickets once in a while. 1. With a Ticket Club membership, customers can get tickets for about 10-20% less than other site. 2. No hidden service fees. 3. “100%” guarantee that once your order is accepted, your tickets will be valid and shipped in time for the event.